According to the Bureau of Labor Statistics, the total nonfarm employment for the Atlanta Metropolitan Statistical Area stood at 2,667,800 in August 2016, an increase of 71,000 or 2.7 percent, from a year ago. 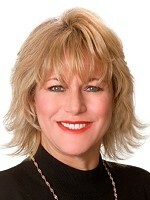 Regional Commissioner Janet S. Rankin noted that the Atlanta area had year over year employment gains of over 50,000 each month since July 2013. 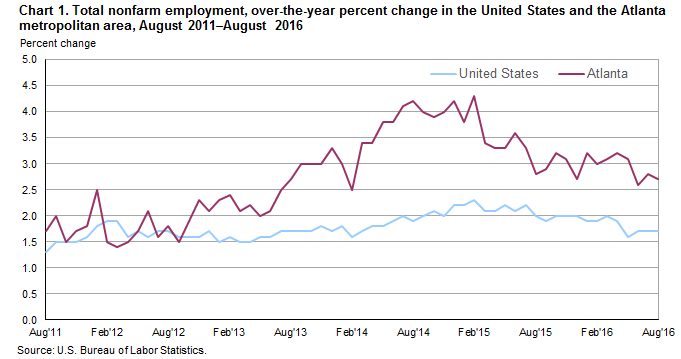 Nationally, nonfarm employment increased 1.7 percent from August 2015 to August 2016. The study had a few interesting observations or predictions. First they expect the fed to increase interest rates but fortunately by only .25-.5 points. Also, According to the Bureau of Labor Statistics, in the Atlanta metropolitan area, the trade, transportation, and utilities industry had the largest employment gain from August 2015 to August 2016, up 17,600 or 3.0 percent. Nationwide, employment in trade, transportation, and utilities rose 1.4 percent from the previous August. The 5.8-percent rate of local job growth was more than double the national rate of 2.7 percent. Since August 2015, leisure and hospitality added 16,000 jobs while professional and business services had the third largest increase in employment locally, gaining 15,800 jobs. Employment in this sector grew 3.3 percent in the Atlanta area compared to 2.7 percent for the nation. Atlanta experienced the second highest percent change of non-farm employment growth of the nation’s 12 largest metropolitan statistical areas in August 2016. All areas experienced year over year job growth during the period with the rates of growth in 10 areas exceeding the national average of 1.7 percent. According to Apartment List Rentonomics, Atlanta was 7th in apartment building permits with 7900 new units delivered from July 1, 2015 to June 30, 2016 and 8200 units delivered the year before. Currently there are 20,000 rentals under construction with 10,000 scheduled for delivery in 2016. 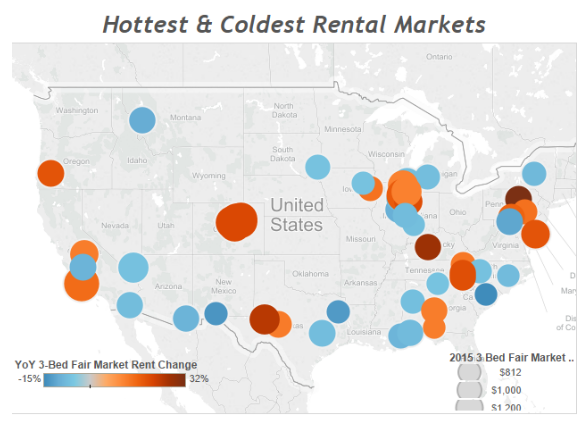 In highest rents compared nationally, Atlanta was way down the list at number 19. 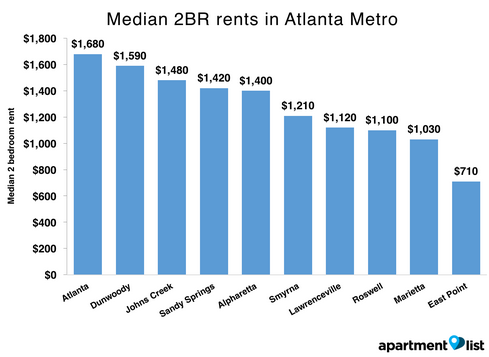 Atlanta rents decreased by 0.1% between August and September and are up 5.2% over last year. Fulton County was number 20 of the top 25 hot real estate markets with 25% of median income going toward rent, 21% of the population is millennial, and an unemployment rate of 7.9%. According to RealtyTrac, 7 of the 19 best markets for buying single-family rentals with high gross rental yields and wage growth are in counties in Georgia. This is from a list narrowed down to 473 counties analyzed in the report to those with a potential gross annual rental yield (annualize rental income divided by the median sales price of at least 10% for homes purchased in 1 Q 2016). 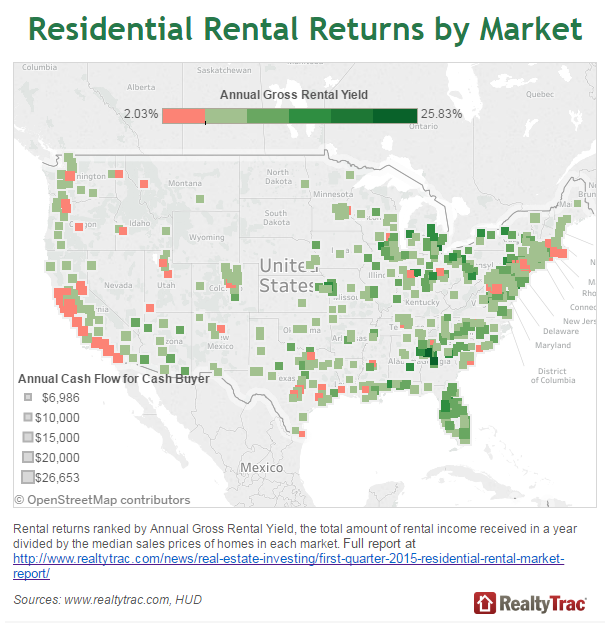 Counties with the highest annual gross rental yields on the list were Clayton County Georgia with in the Atlanta metro Colleton area with 24.3% yield and Carroll County Georgia had a 6% yield. 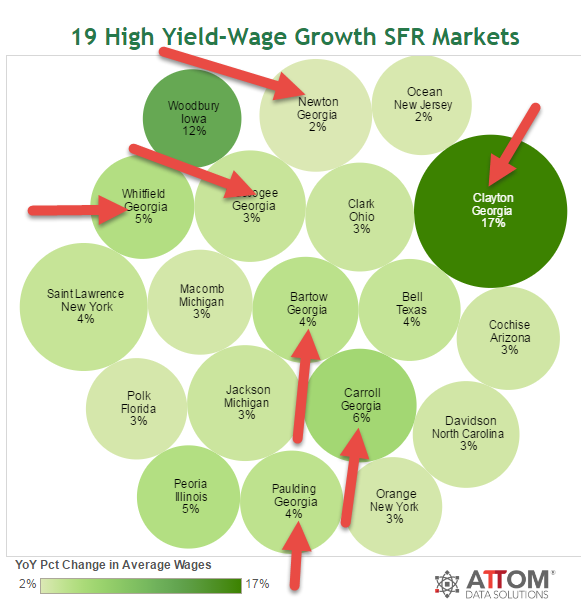 Because of low priced housing, the market with the highest potential rental return was Clayton County, Georgia with an annual gross yield 25.83% and with an average cash flow of $13,773. and Bibb County Georgia in the Macon Metro area with 22.33%. 516 counties were analyzed where the millennial share of the population was above the national average of 22% and where the millennial population increased at least 5% between 2007 and 2013. This is also where the potential annual rental returns of residential properties was 9% or higher. 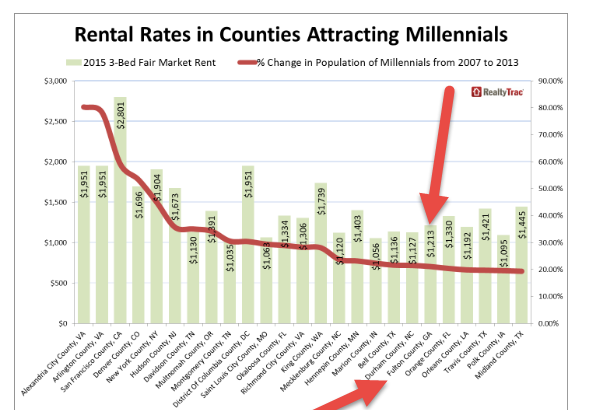 The County had 11% increase in millennials from 2007 to 2013 with 25% of their population in 2013 being millennials and an annual yield of over 10%. 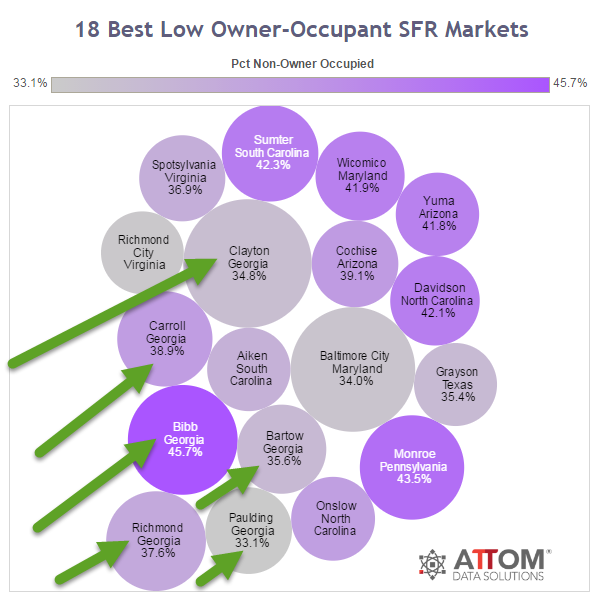 RealtyTrac analyzed the 2015 fair market rental data recently released by the US Department of Housing and Urban Development and found Fulton County to be one of the top counties out of 543 counties nationwide attracting millennials with a three bedroom fair market rent average of $1213. Nationally, there were 20 counties among those analyzed where generation X her share of the population was above the national average of 16% where the generation X population increased at least 5% between 2007 and 2013 and where the potential annual returns on residential properties were 9% or higher. Douglas County saw an increase in generation Xers from 2000 to 2013 10% with the percentage of generation Xers in total in 2013 of 18% and the annual gross yields of 14.5%. Henry County saw a 9% increase in generation Xers from 2007 to 2013 with a 19% of the total population being generation Xers and an annual gross yield of over 12%. Catalina County solid 8% increase in generation Xers from 2007 to 2013 with 18% of the population be in generation Xers and an annual yield of 9%. Six counties in Georgia were the highest percentage of non-owner occupant houses. Clayton County has 34.8% non-owner occupied investment properties with a median sales price of $66,000 and a January through July 2016 rental yield of 24.3%. 11% of these investment houses were purchases by institutional investors. 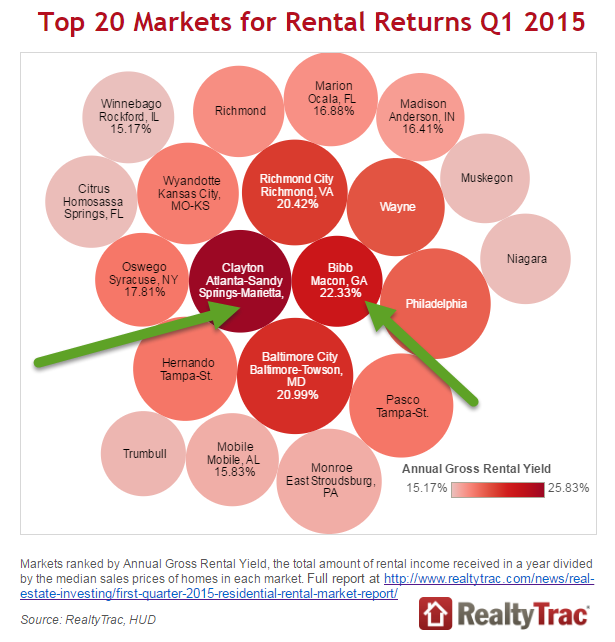 Carroll County had 38% of non-owner occupant with a median sales price of 120,000 with a rental yield of 11%. Paulding County had 33% non-owner occupied properties with a median sales price of $145,000 and 11% yield. It’s phenomenal that Georgia and metro Atlanta have made so many national lists for rental increases. 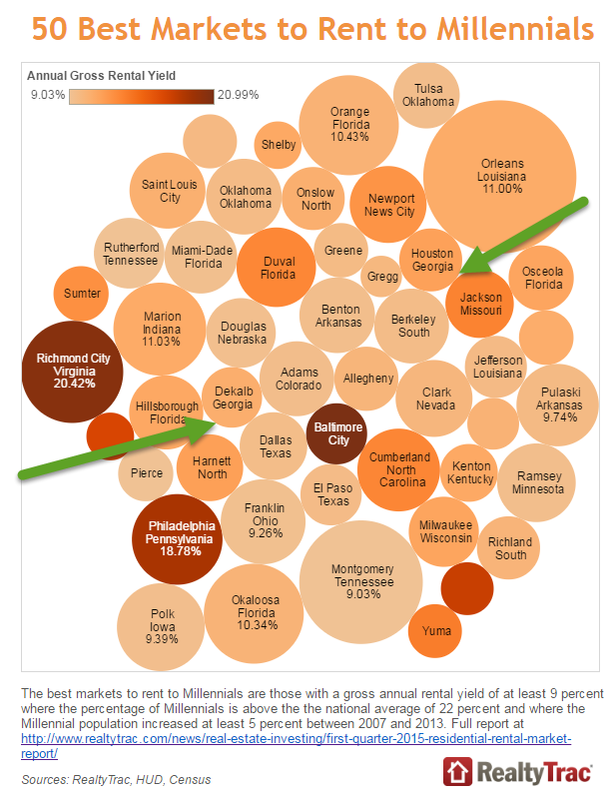 All of these charts prove that investment property is alive and well in Atlanta and Georgia. Currently, our team has over 100 bulk properties available for sale. Should you want some income property or have some for sale, please give me a call.